Brachial plexus palsy is a surgically manageable condition. Re-animating the shoulder is a high priority for restoring upper extremity function. Methods for reinnervating injured nerves include the transfer of a healthy nerve or fascicle distal to the site of injury, or grafting a healthy sensory nerve to restore motor function. Studies aiming to compare these two techniques for restoring shoulder abduction have yielded conflicting results. We conducted a systematic review and meta-analysis following the PRISMA guidelines. We reviewed the PubMed database for studies comparing nerve transfer and nerve grafting for shoulder abduction published by December 2018. Outcomes using the Medical Research Scale (MRC) for muscle strength were assessed using a random effects model meta-analysis. 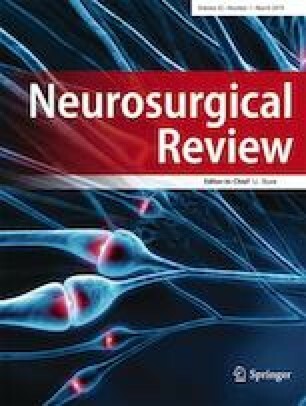 Five studies comprising a total of 212 patients (n = 158, nerve transfer; n = 54, nerve grafts) were used for the analysis. The rate of functional recovery of shoulder function was slightly better for nerve transfer (n = 114/158, 72%) than for nerve graft patients (n = 36/54, 67%). However, this was not statistically significant (OR 1.34, 95% CI 0.27–6.72, I2 = 62.9%). Nerve transfer and grafting are similarly effective in terms of shoulder abduction. Future prospective studies are needed to validate our results and identify the optimal shoulder re-animation strategy in patients with brachial plexus injuries. The online version of this article ( https://doi.org/10.1007/s10143-019-01100-9) contains supplementary material, which is available to authorized users. This research does not contain any studies with human participants performed by any of the authors. For retrospective studies, formal consent is not required.